I found this news article from Thanksgiving 1880 about the Best family, owners of 205-07 W. McMicken. Seems like everybody knew how to party back then! 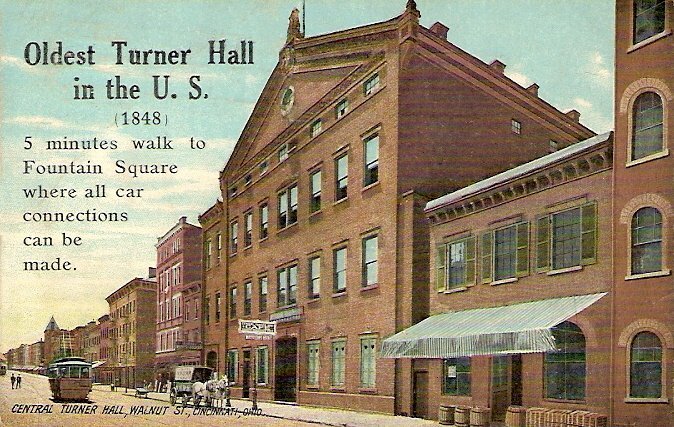 1000 people crammed into the old Turner Hall in Over-the-Rhine (now demolished, was on Walnut Street) and danced until the next morning. In attendance were several noted young ladies, including "Miss Adeline Best," daughter of Adam Best who owned 205-07 W. McMicken. November 26th, 1880. Courtesy of the Public Library of Cincinnati and Hamilton County.